Tesla shares may still be solid after last year's massive jump, but Standard and Poor's isn't impressed. It just set the company's bond ratings to B-, aka "junk." 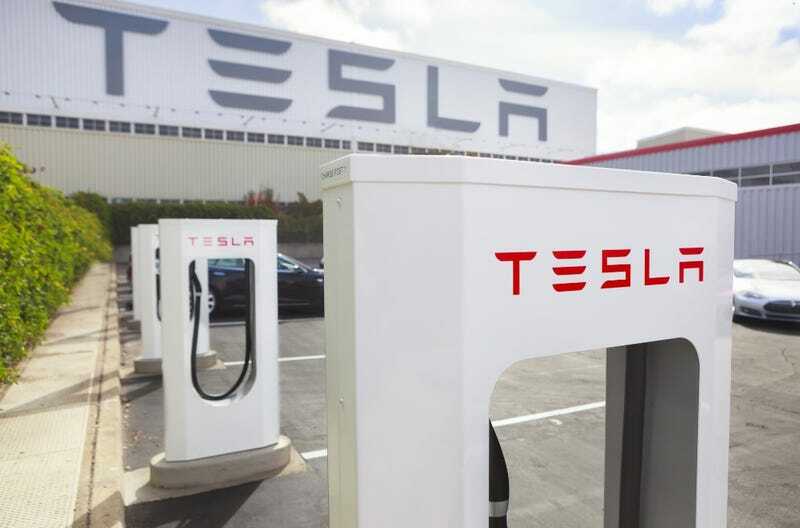 S&P's reasoning for the rating is Tesla's "vulnerable" portfolio, which includes "narrow product focus, concentrated production footprint, small scale relative to its larger automotive peers, limited visibility on the long-term demand for its products and limited track record in handling execution risks." A junk bond rating basically means that the boffins of Wall Street believe the company has an increased chance of going into default. However, even though they gave it "junk" grade, S&P still maintains that Tesla bonds are "stable."